Hard Cover, Available in Four Sizes. 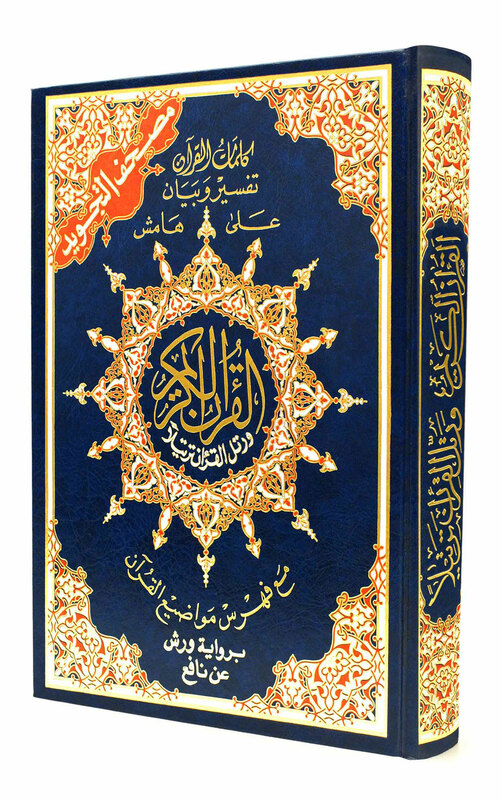 The small size of this Tajweed Quran (4"x5.5") is easy to handle or to keep in a small pocket. This Tajweed Quran is in Warsh narration.